Days after National Conference Party chief Farooq Abdllah announced that his party will boycott the municipal and panchayat elections to be held later this month, the People's Democratic Party declared that it will stay away from the polls. "We will go to any extent to protect Article 35A," said Mufti at a press conference in Srinagar. She said the people of the state have "sacrificed a lot" and no one can fiddle with the validity of Article 35 A. The move comes just days after the National Conference announced that it will not contest the panchayat polls and even the 2019 elections "until and unless the Government of India and the state government clear their position on Article 35 A and takes effective steps to protect Article 35 A in and outside the court". 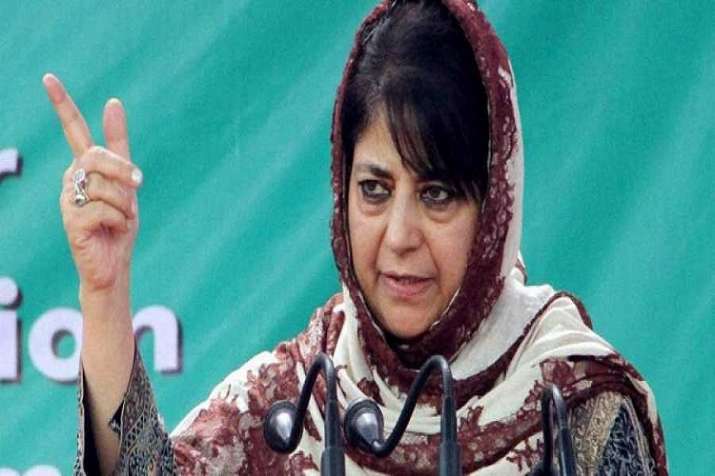 PDP spokesperson Rafi Ahmad Mir told reporters unless the apprehensions expressed by the people with regard to Article 35A are satisfactorily addressed, "we feel holding of municipal and panchayat polls will be a futile exercise". Article 35A, which gives special rights to people in the state and bars outsiders from owning immovable property, has been challenged in the Supreme Court. The apex court had on August 31 deferred the hearing on a bunch of petitions challenging Article 35A of the Constitution, as the Centre urged the court to take up the matter after panchayat elections in the state. The urban body elections in the state are scheduled to be held in October and the Panchayat elections will be held in November and December. The municipal polls are being conducted in the state after a gap of 13 years with the last elections in 2005 and the last panchayat polls were held in 2011.